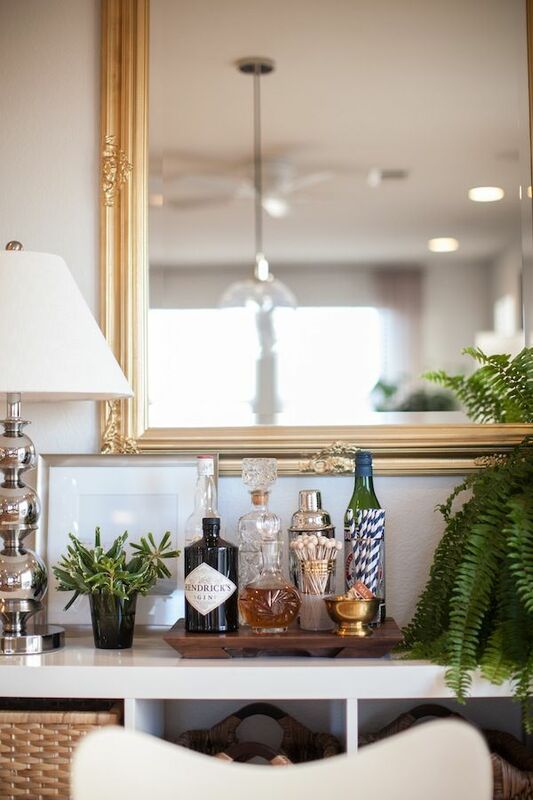 I’ve decided to mix things up and start sharing some of my favorite home looks to fuel your inspiration each Friday. 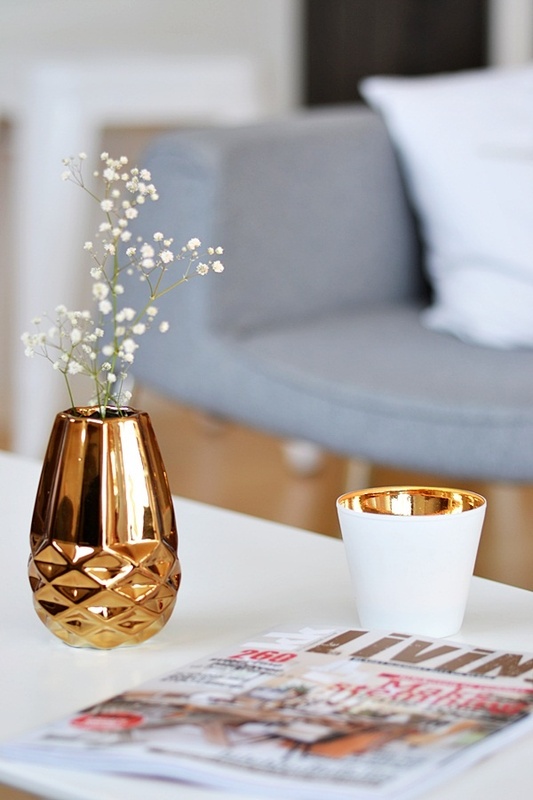 Each week will focus on a different look or trend, and provide you with pieces I’ve found online that will help you re-create the look in your own home! To start off this series with a bang, I thought I’d begin with one of my favorite accents: gold. 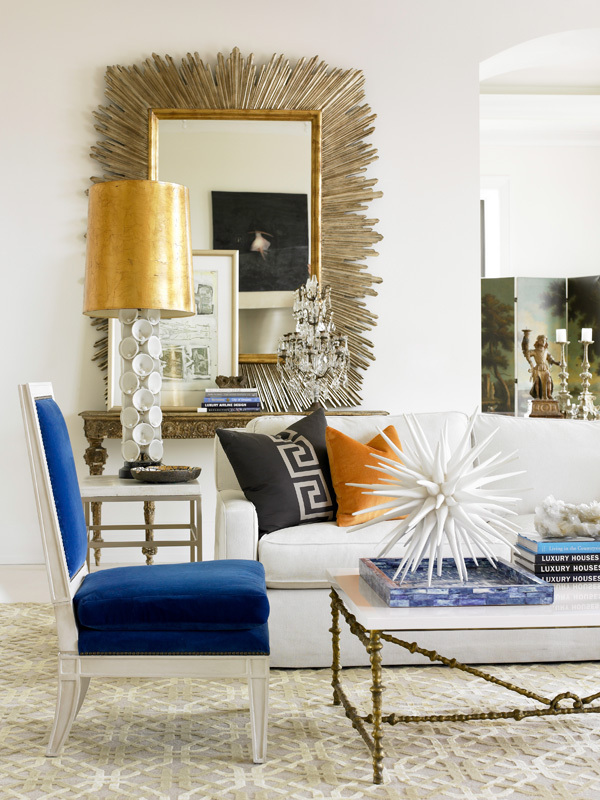 When used tastefully, gilded pieces and trims can add a glamorous look to any room. Whether you have traditional tastes or a modern appeal, try out some of these pieces to add a decadent vibe to your setup. My favorite pieces? These understated bowls and this side table. Enjoy! For more home inspiration, check out my Haute Home board on Pinterest! 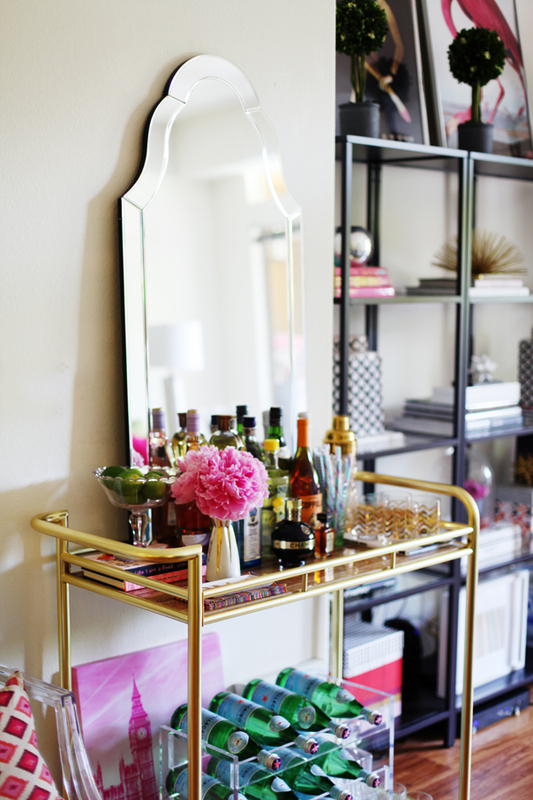 Being an interior designer myself, I just can’t get enough of the gold accents in my home :) I’m SO into these starburst mirrors.. especially in an entry hall and the bar cart is just an absolute necessity! The blue, orange and gold of the first photo has been catching my eye a lot lately! Target has a Nate Berkus collection with quite a bit of gold accents that I’m tempted to indulge in too! Gorgeous images. I love the first picture. the ceiling in pic 2 is gorgeous! Fun picks Merritt! Love Devon’s home! Thanks for sharing all of these great decorating ideas. umm that home is GORGEOUS – I’m obsessed with the silver desk & lambskin underneath. I need that look!!! love it. thanks! You’re getting me so excited to decorate my first apartment post graduation! That bar car is fabulous!